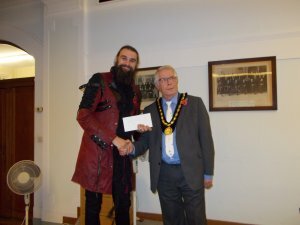 The Mayor presenting Gary Starr with a grant of £600.00 for The Skegness Carnival Committee. 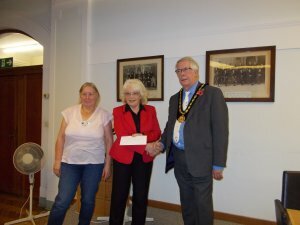 The Mayor presenting a grant of £900.00 to Mrs Gray and Mrs Cargill for Skegness Live and Learn. 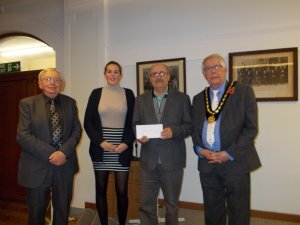 The Mayor presenting a grant of £750.00 to John Forman, Elizabeth Cassidy and Graham Baumber for Skegness Community Live Music.